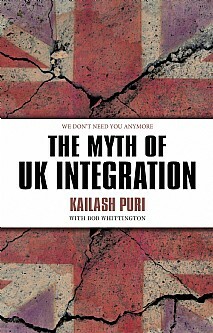 While focusing on Asians, Kailash Puri’s blunt message is that integration among all ethnic communities and the British is a myth. We must accept that reality and address the implications before mental barriers become real barricades. She says that without talking, tensions build up and become a breeding ground for the violence which has hit cities around the world, not just London. But her solution to the dilemma is unique and inspiring. Honour killings and forced marriages continue to hit the headlines, indicating the prevalence of this largely hidden problem. Kailash Puri draws on more than 50 years’ experience of advising clients in India, Africa, America as well as the UK, and gives a timely warning about the inevitable consequences of doing nothing. Kailash Puri, Agony Aunt, author, broadcaster, poet, counsellor and self-proclaimed sexologist at 84 years has advised innumerable people over the years and they still come to her door – British as well as Asian – and she continues to play the role of vichola, or go-between, helping young people find marriage partners.